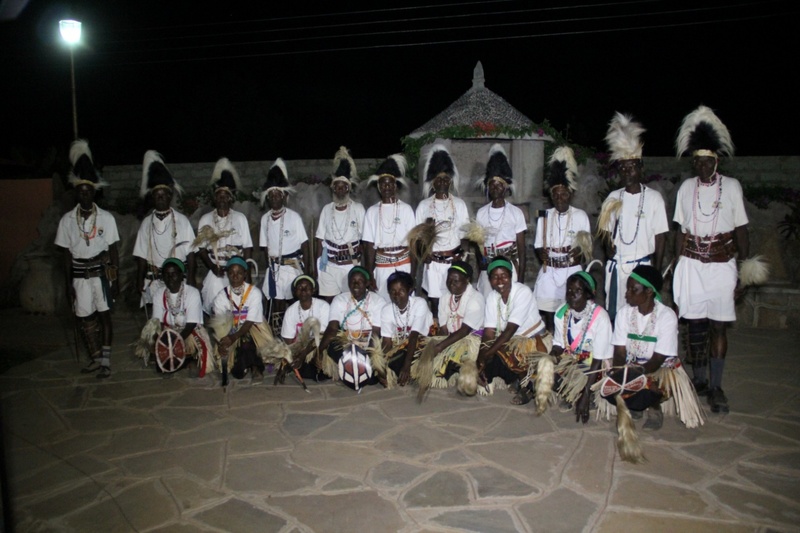 Kigane Traditional Dancers, from Kigane Kithurini and Ngatia villages, Suri Location, Bogeta Division. They are 11 men, 12 women, led by Cyrus Kirigia. Their style is Kwimbo, and the songs ares sung to celebrate the harvest mostly in August and March. They are from the Ameru ethnic community and use the Kibere (leg shakers) and Vilingi (whistle).